Yasmine Naghdi was born on 25 March 1992 in London. Everyone I meet says, ‘Where are you from?’, and I say, ‘I’m from London’, and they say, ‘No, where are you really from?’. Well, she has an exotic name and a somewhat exotic look but, although she also has an exciting mix of blood running through her veins, she is a true Londoner. I was born in London and have lived here all my life, so I really consider myself British. In fact, Yasmine is one of the new Great British Hopes at the Royal Ballet. 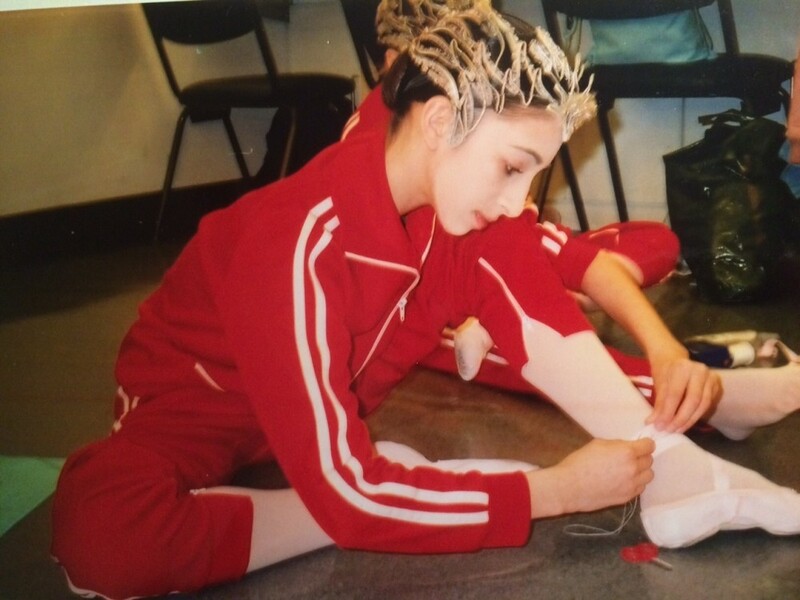 She came up through the Royal Ballet School and last year became a soloist with the company. For several years, Principal dancers from outside the UK have dominated the billing, with Latin countries especially well represented (Spain, Brazil, Argentina, Italy and Cuba) as well as a smattering of American, Australian, Russian, Danish and Rumanian talent on the Company roster. There have been the Leannes and Deborahs and Darceys, but recently Ed Watson and Lauren Cuthbertson must have been feeling quite lonely up there. Although Xander Parish was one who got away (pre-O’Hare days), a year ago, Judith Mackrell in The Guardian wrote an article entitled Francesca Hayward: the next great British ballerina? (and Gramilano featured Francesca here), and now there are two other young Brits being tipped for the top: Yasmine, who will make her début as Juliet on 3 October, and her partner for that performance, 21-year-old Matthew Ball. It does seem to come in waves, but the school really has been producing some great talent and, since I’ve been Director, I’ve had a hard time NOT taking people on. My dad is the Managing Director of an eco-engineering company manufacturing electric cars and he likes to think he’ll save our planet from further pollution one day! Mum is an Art Historian. She has a PhD in Art History and Ancient Civilisations, and also studied Cultural Anthropology and Ethnology. For many years she worked at Sotheby’s here in London as an art expert and auctioneer. However, like many families who want to restore peace and quiet at home, they took their hyperactive child somewhere to let off steam. I started out with gymnastics, which I enjoyed for a while, but then I got a little bit bored. 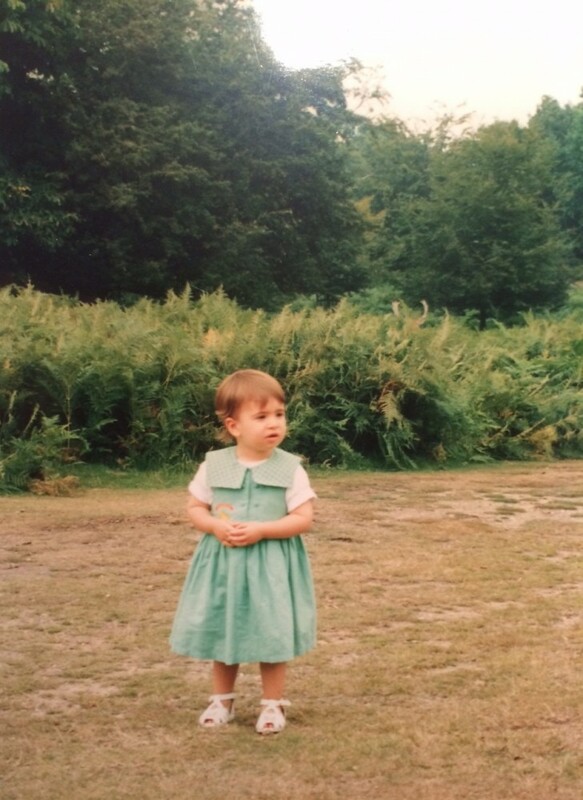 I had some friends who took ballet class so my parents thought that maybe that could be the answer, and as soon as I started, I never looked back. There is, however, a remote family link with ballet, and a fascinating one too, which Yasmine discovered just recently. There were two sisters who were both Grand Sujet at the Paris Opera during the time when Carlotta Zambelli and Olga Spessivtseva were étoiles. I have family photos of both of them and, funnily, they share a very close resemblance to my maternal grandfather. Yasmine grew up surrounded by art and music. I clearly remember mum taking me to New Bond Street as a kid and placing me on the auctioneer’s rostrum. She handed me the hammer and told me to always hit the gavel hard! She used to take my younger sister and I to every possible art exhibition and museum, she drove us to school every morning whilst listening to Classic FM and she was forever testing our knowledge of musical instruments and composers. 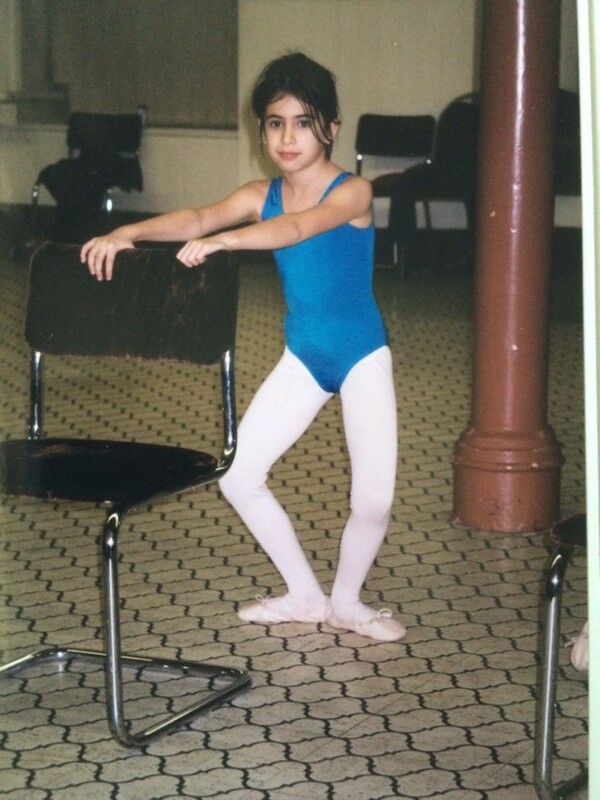 From a very young age, I was exposed to the arts and classical music but not to ballet. However, whenever the family were around, I would do my little performance in the drawing room, which everyone seemed to love. Yasmine joined the Royal Ballet School’s Junior Associate programme, which is for 8 to 10-year-olds, and that allowed her to get the feel for the School’s system of training while continuing to study with her local teacher. In 2003 Christopher Carr and Wendy Ellis chose her to be a Spring Fairy’s page in Cinderella – her first taste of the Royal Opera House stage – and little Yasmine suddenly found herself rubbing shoulders with her idols. Cinderella was played by Alina, Marianela, Tamara… so I got to see all these wonderful dancers which was so inspiring as a child. They are still inspiring me now. Marianela, with her precise technique and pure strength, is incredible and her versatility really is an eye opening. She is not a typecast ballerina, she can dance so many roles! Dancers like Zenaida Yanowsky are incredibly artistic, and you can learn a lot from the way they act, the way they portray emotion, and their character. We now have Natalia Osipova who is a real firecracker and she brings such excitement and fire to the stage. We are so spoilt with all our principals; you can watch these incredible dancers and take what you want from each of them. The idea of auditioning for full-time training with the Royal Ballet School at White Lodge, though, hadn’t crossed her mind. Jacqui Dumont, then Principal of the Associate Programme, came up to my mum and asked her why I hadn’t auditioned for White Lodge? My mother said she didn’t know if I was good enough. Yasmine auditioned and was offered a place. Straight after her audition she was also told that she’d be dancing as a ‘baby swan’ in Swan Lake with the Company. I was oblivious as to what lay ahead. It may sound a little strange, but it seemed that everything just came to me and only later did I realise the hard work necessary to continue. But I loved the determination needed and the passion that comes with it all. When I got accepted to White Lodge I thought, Wow they believe in me so I’m really going to work hard! The Royal Ballet School divides its eight-year course into two parts, with the first five years at the Lower School at White Lodge, in the heart of Richmond Park, and three years at the Upper School in Covent Garden, next to the Royal Opera House. At White Lodge, there is naturally a sense of isolation from the outside world as it is located in the middle of a park, but we were allowed out every Saturday afternoon. We would walk in small groups to the nearby village of East Sheen and were free to stroll around unsupervised for a few hours. Our daily ballet classes fitted around the academic lessons so besides our training we also benefited from an excellent academic education. It might sound idyllic but the students don’t hang around in the park kicking a ball around and lolling around in the ferns. Being a student at the prestigious School is hard work. From a young age you have to become very disciplined, there is no allowance for any teenage tantrums. Your daily life as a pupil is scheduled out for you and you are under constant supervision, in class and in your boarding house. There are annual appraisals and some pupils may be asked to leave if their ballet progress is not satisfactory so there is continued pressure to do well and to constantly up your game. Talent alone is not enough and a love of dance is also not enough; you have to have it in your blood and feel that you have to dance, that nothing else in the world counts more. It is a very long road, with many ups and downs, tears as well as joy, and one has to be very strong – physically and mentally – to get through the rigorous training. I always thrived on self-discipline and as a child I worked best with the strictest of teachers: Diane van Schoor, Anita Young, Hope Keelan, Nicola Katrak. One of the most memorable moments at White Lodge, was when she was chosen to go to the Vaganova Academy in her penultimate year. We had a little exchange programme, almost like a mini tour. Eight of us took class with some of the dancers at the Vaganova and then we performed with them at the end of the week. The eight chosen were a mix of White Lodge students and the senior students, 16-plus, who train at Covent Garden. Sergei Polunin was one of the participating dancers. It was a key moment in my life: I realised that the School trusted me to be good enough, and to do so they must have seen something in me. I gained a lot of confidence. After five-years in the park there comes the big move from the ‘isolation’ of White Lodge to the hustle and bustle of central London. Having lived several years at White Lodge it is a shock to have such great freedom when joining the Upper School. As 1st year students, we lived all together in a house in Barons Court and we had to take the tube to go to Upper School. We all sensed a greater freedom, the house parents were less strict and we now had to go out to buy our food and cook our evening meals. We were also allowed out in the evening until 10 pm. At Upper School you can go across a beautiful glass bridge linking the School to the Royal Opera House. There we could see all the amazing dancers rehearsing and that in itself is a great inspiration and stimulation. You also have opportunities to work with the Company doing small walk-on parts or dance certain roles with the corps de ballet. During her first year at Upper School, in 2009, Yasmine won the Young British Dancer of the Year competition, which Lauren Cuthbertson and Sergei Polunin had won in previous years and would be won by Francesca Hayward the following year. The wonderful Zenaida Yanowsky was our Guest coach and she worked with me on the Summer Fairy variation from Cinderella and Esmeralda. Gailene Stock also prepared all of us for the competition. It was indubitable that there was a big talent waiting to blossom in her. What I recall is that she had the most beautiful control and beyond that, she was proficient enough to add colour and style to the languid movements required of the Ashton choreography. Her port de bras were – and are – stunning, which for me is a sign of a ballerina. She has the capacity to create the illusion of ease owing to her secure technique and the harmonious way in which she moves. It can be difficult for someone who moves with such ease to be noticed; people often thinking that it’s all very nice, but not exciting, but it is all done through hard work and hers is a talent that will last. Then the ball really started to roll… in truth, it was given a jolly hard kick! I had just started my 2nd year when I was called into Gailene’s office and told I could skip the year and join in the 3rd year straightaway. She suddenly found herself in the final year of the School, the graduate year. Two months into my last year Gailene asked me to dance the 2nd Movement of Kenneth MacMillan’s Concerto in Canada, followed by dancing Concerto in Hamburg at the John Neumeier Gala and also in Tokyo. David Bintley also invited me to dance Concerto at the Birmingham Royal Ballet’s 20th Anniversary Gala in March 2010. So a week after her birthday she found herself on the other side of the rainbow, more commonly known as the Bridge of Aspiration, which links the School to the Opera House. It was a surreal feeling. On 31st March 2010 I entered The Royal Ballet School’s entrance for the last time, the following day I entered the Stage Door and walked into The Royal Opera House as a member of The Royal Ballet. My dream was finally for real! I had not gone through the lengthy auditioning process other students have to go through during their 3rd year: I went from being a student to professional dancer in a very short space of time. It was a huge change as all of a sudden I was standing at the barre during morning class behind Tamara Rojo whom I admired so much as a student. I could see Alina Cojocaru standing a few steps away from me; I was passing Johan Kobborg, Carlos Acosta and Marianela Nuñez, in the corridors of the Royal Opera House. Only a couple of years previously, at White Lodge, Yasmine would sleep each night beneath a poster of La Fille mal gardée signed by Nuñez and Acosta. Upon joining, I was immediately thrown into the deep end. I had barely digested that I was now a dancer with the Company, when Liam Scarlett approached me. He was just about to premiere his Asphodel Meadows and the week before the opening he asked me if I could take over from an injured dancer. I answered yes without giving it any thought and asked him to give me the DVD. He told me there would be a stage call the follow morning and I assured him I’d learn it overnight and that I’d be ready for the stage call. In the tiny kitchen of my flat in Covent Garden, I taught myself the role and at 2 o’clock in the morning I felt I knew it. I ended up dancing 3 of the 6 performances, and in 3 different places. It was a huge challenge as a newbie but I did it. 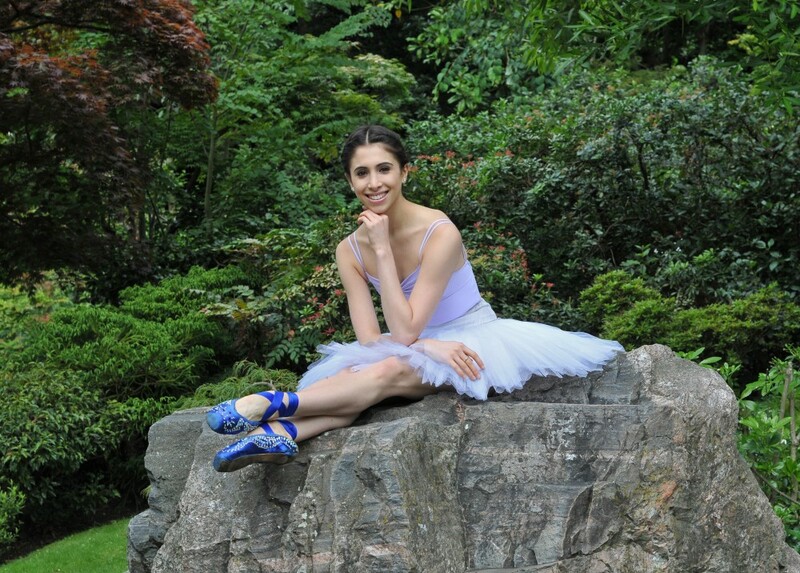 The Royal Ballet is known for its commissioning of exciting new works, and Yasmine has often been part of that process. Lately she has been fully immersed in studying and rehearsing Juliet, a role created exactly fifty years ago, which is a totally different process to that of creating a new role. It’s a lot longer, and there is no recording to fall back on! You have to remember what you’ve done in the previous rehearsal. It varies from choreographer to choreographer. With someone like Wayne McGregor, I’ll come out of the rehearsal with half my hair, because the rest has fallen out! It’s such an intense process. I’ll feel as though my brain has been fried because he’ll have given us so much material and so you’re worried that by the time the next rehearsal comes around you’ll have forgotten what you’ve done. So there are times when I come out of a rehearsal with Wayne McGregor and ask somebody to film me repeating what I’ve just done so that I can look at it the next day to remind me. Christopher Wheeldon works a lot with counts, so I might go home at night and write down the counts so that I won’t forget it. There is homework that needs to be done. You could just rely on what you did at rehearsal but you’ll be one step ahead if you really remember what you did the day before, and that helps everybody. Not long after she joined the Company, Wheeldon created his highly successful ballet Alice’s Adventures in Wonderland. The work was under the spotlight since the announcement of the project as it was The Royals Ballet’s first full-length work in twenty years. I had things created on me for Alice. I was in the corps de ballet at that point, of course, so lots of us were doing the same things, but it’s still nice having a little bit of input. Maybe the choreographer is a bit stuck and you say, “What about this?”, and he says, “Yeah that works!”. It’s a nice feeling knowing that there is a step in there that you created. And a pas de deux in Wayne McGregor’s Raven Girl was created on me, the ‘dream’ pas de deux. It can be a nice process, but it can be stressful, especially if you’re pushed for time. Aeternum was created on Meaghan [Grace Hinkis] and I, and we were very pushed for time. Wheeldon’s Aeternum was set to the three movements of Britten’s Sinfonia da requiem. It was very hard to count and we were used to rehearsing it with a piano, so when we were with the orchestra the cues we were used to sounded completely different. We didn’t know when to come on. But it keeps things fresh: new ideas, it’s the future after all… It’s good. Yasmine was promoted to First Artist in 2012 and passed to Soloist in 2014, playing Peaseblossom in The Dream, Amour in Don Quixote, the Rose Fairy in The Nutcracker, and other suitable soloist roles. Earlier this year, however, she found herself pushed nearer to the footlights, playing Olga in Onegin alongside Osipova and with her current Romeo, Matthew Ball, as Lensky. Now she’s got the chance to play one of her dream roles, but there are others, of course. Manon would be a dream role now that I’ve started having a taste of MacMillan, and Mary Vetsera in Mayerling, another incredible role, something to really get your teeth into. You really need to work your brain and develop the character. With a purely technical role yes, you have to think a lot, but working on a character you use a different part of your brain and it requires a lot more thought. Then there’s Tatiana in Onegin: the music is just breathtaking and you can really let yourself go at the end… I keep talking about it because I’m really passionate about that role. Of course, there’s Odette/Odile where you can experience playing contrasting characters, and there is a lot more technical requirement with the fouettés, and the much higher stamina you need for that role. And Forsythe’s In the Middle Somewhat Elevated would be incredible to do; I love his work. That’s another ballet I grew up watching as a kid, though I remember the music really scared me, but I was totally besotted by the movement and the athleticism of it, and it’s certainly something very different. So is it just ballet, ballet, ballet? I play the piano, I love to sing as well, I love making up music, improvising, it’s a great let out for me. I trained my voice classically at school, but I sing whatever’s in the charts… singing in the shower that kind of thing. I love going to the Victoria & Albert Museum whenever I have the time and I have seen some memorable exhibitions there. I also have a great passion for photography. This started after I travelled through California and visited Yosemite Park in 2009. There I discovered the work of Ansel Adams. I’d say my greatest hobby is travelling, especially to Southeast Asian countries and the Far East. I am in love with Japan. But she’s finished in a world of tulle and tights, though underneath that frothy exterior are highly trained physiques, and inside those bodies – at least for those who go on to have successful careers – are astute brains that continually analyse and judge spatial and emotional relationships. Not so far away from debating and politics after all. The ballet world was a world my parents didn’t know at all. They learned all about it throughout my training. Once they got used to the idea that I was going to train at White Lodge they became fully supportive. Needless to say, they are very proud of all I have achieved up to now. For a lucky few, childhood heroes become friends and colleagues. 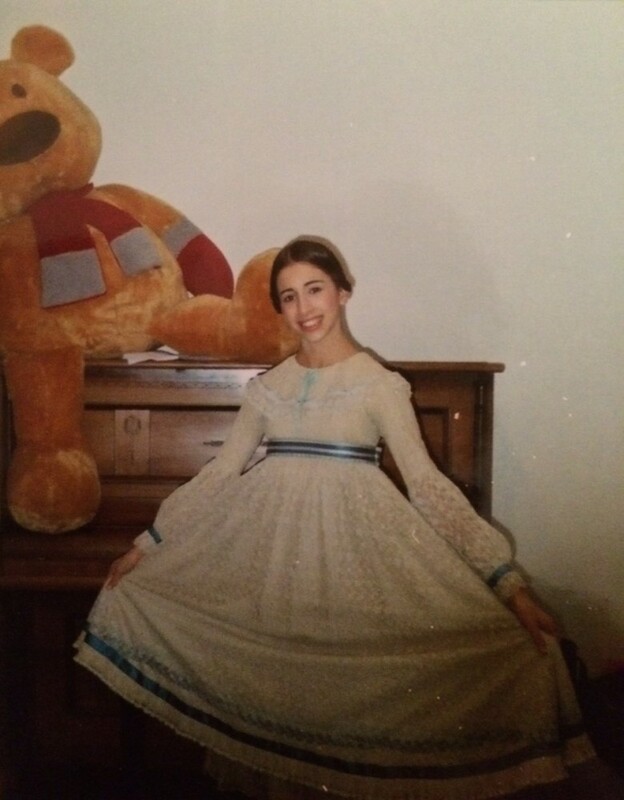 Growing up, one of Yasmine’s favourite DVDs was La Fille mal gardée with Lesley Collier. I love watching her a lot and now I’m being coached by her! It’s very moving to realise that the little girl who once watched all these dancers on stage, now finds herself beside them… it’s fantastic. It’s an opportunity that she’s not taking lightly. I will not fail. I’m so grateful for everything that has come, and is coming, my way and I’m doing everything I can to make each performance the best possible performance of my life so far. I am so happy that she is being noticed and given opportunities to display her special qualities. She’s the real thing! Lovely article Graham. Thank you.